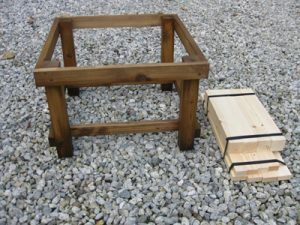 Richfield, South Yorkshire, Joinery & Beekeeping Supplies – Makers of quality timber beehive products. Richfield Joinery & Beekeeping Supplies manufactures quality timber Beekeeping Products available online and for collection. Please visit our ONLINE SHOP. Richfield supplies National Hive Specification bee-hives constructed in good quality joiner grade pine to beekeepers throughout the country. You can order online and have your items delivered to you by courier* – please visit our ONLINE SHOP. Current Price list (for collection only) is available for download (adobe PDF document format – opens in a new window). 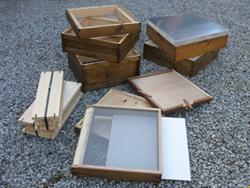 We also cater for custom-made beekeeping equipment made to your own pattern or drawing – Quotations on request. If you would like more information please do not hesitate to contact us. We will be only too pleased to help you. If you would like to be kept informed about new products, updated price list, alterations to the website or other important events, please subscribe to our Newsletter. Please note, we do not pass your details to third parties. (Please see Privacy Notice for further information) and we only email you when there are changes. Richard has built up a sound clientele of satisfied customers over the years. You can read some past examples of their testimonials on our website. *PLEASE NOTE: Standard delivery prices relate to UK mainland only.